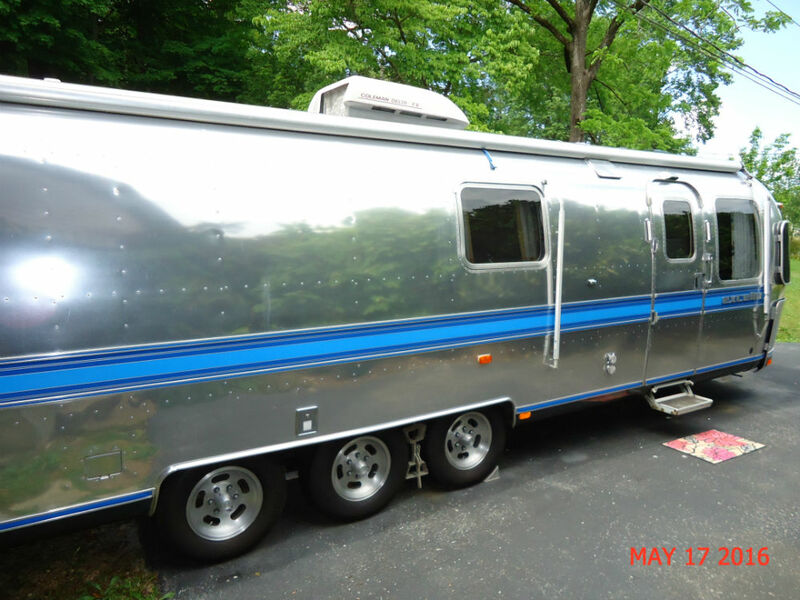 Purchased in 1998 from fellow Airstream friends who purchased it new. 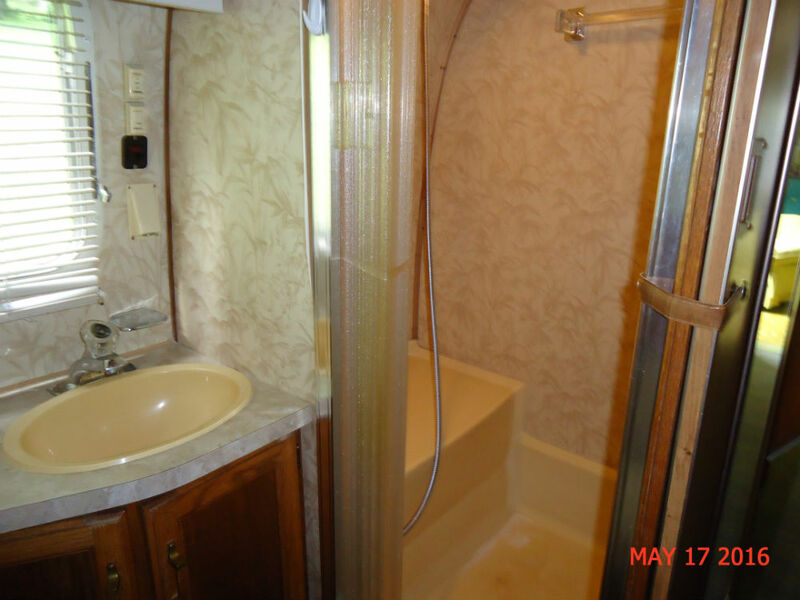 Within the last three years, the trailer was refinished by P & S and redecorated. 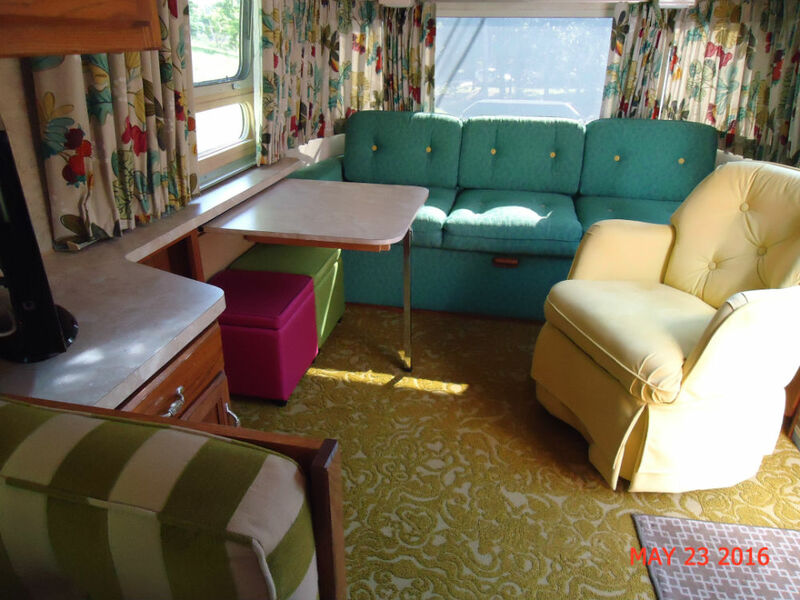 We kept many of the traditional Airstream features because they were in excellent condition, and then using high end, quality fabrics and Flor carpet tiles. 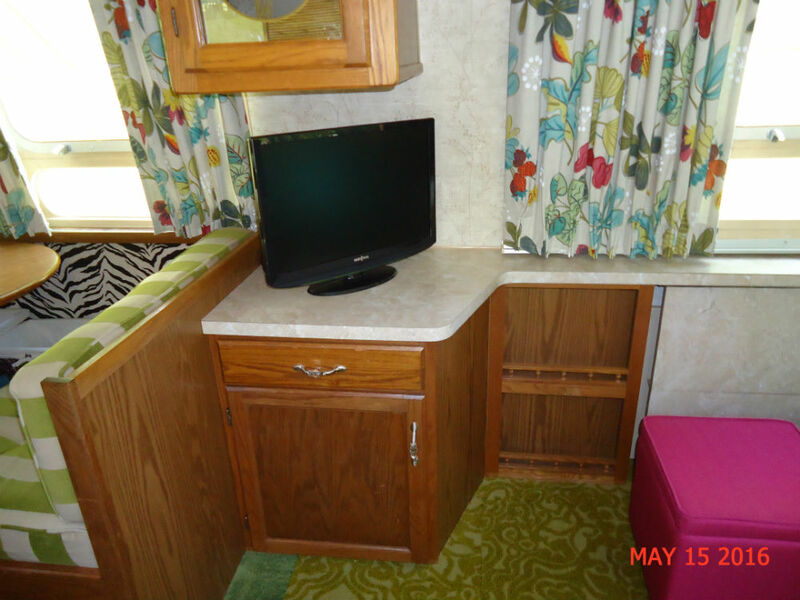 Window treatments are custom made and lined; custom coverlets for the twin beds which have custom made heavy duty foam mattresses. 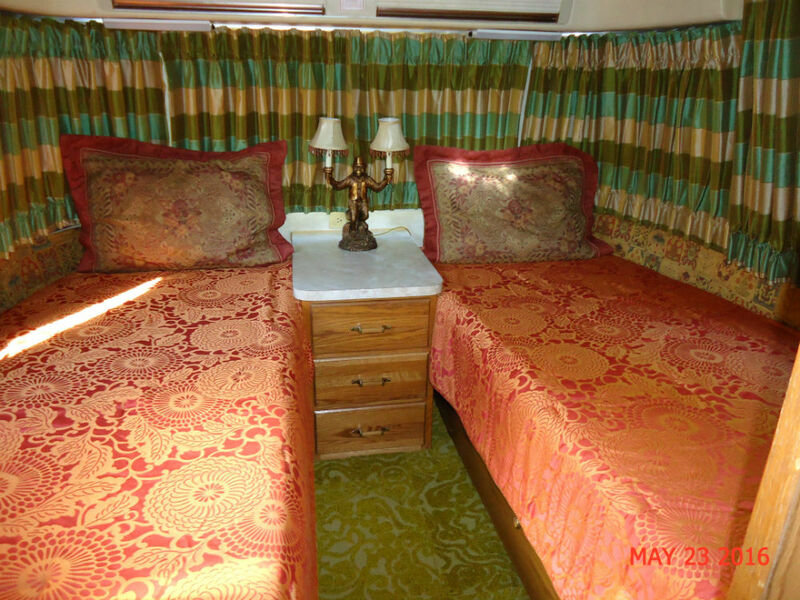 The sleeper sofa and original chair were recovered as well as recovered “fanny pads” throughout the trailer. 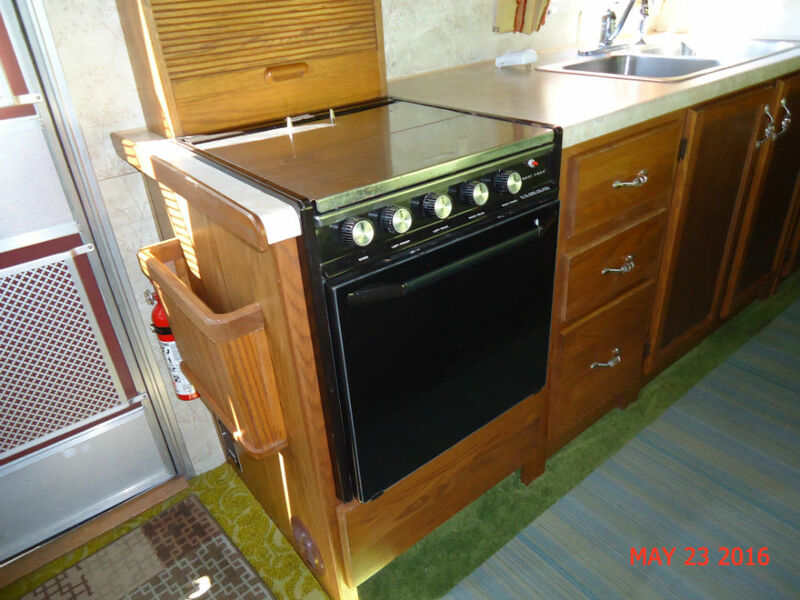 The trailer has a 4 burner stove with oven, microwave, double sinks and oak cabinets with updated cabinet pulls; cedar lined closet, center bath with comfort rise commode. 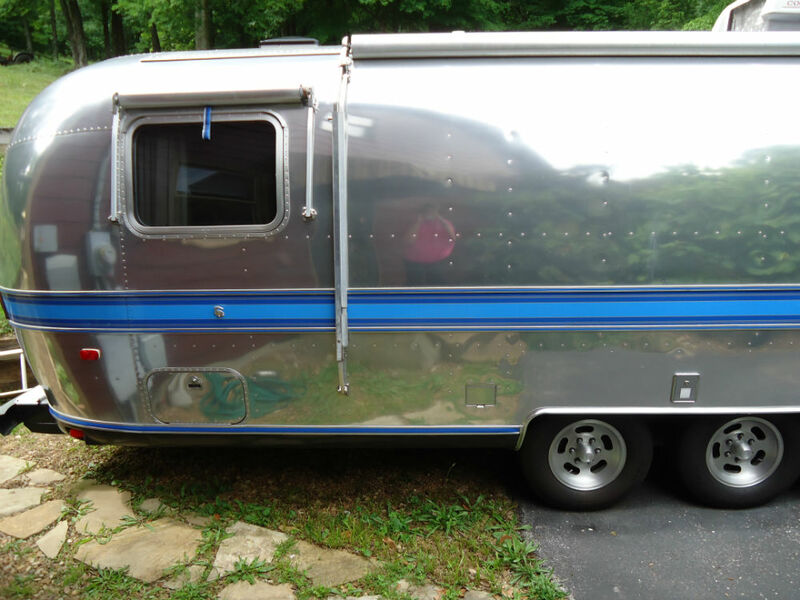 The trailer has dual propane tanks, Dexter brakes and manual leveling jacks. 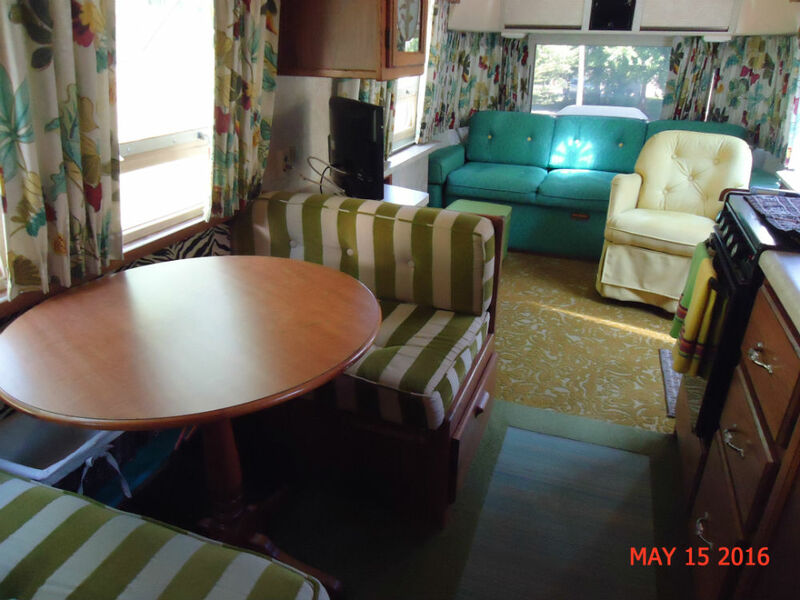 There are original Zip Dee Awnings on the front, side and rear. It has a digital converter. The furnace was rebuilt this fall and the technician tested the original refrigerator/freezer (Dometic) and air conditioner as in good order. New Carlisle tires were put on two years ago. 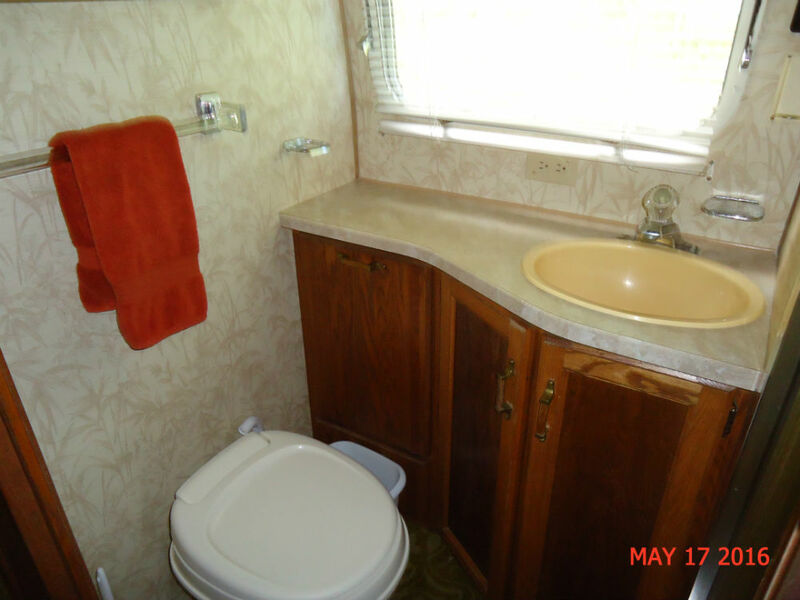 This trailer has only had moderate use and has been smoke free. 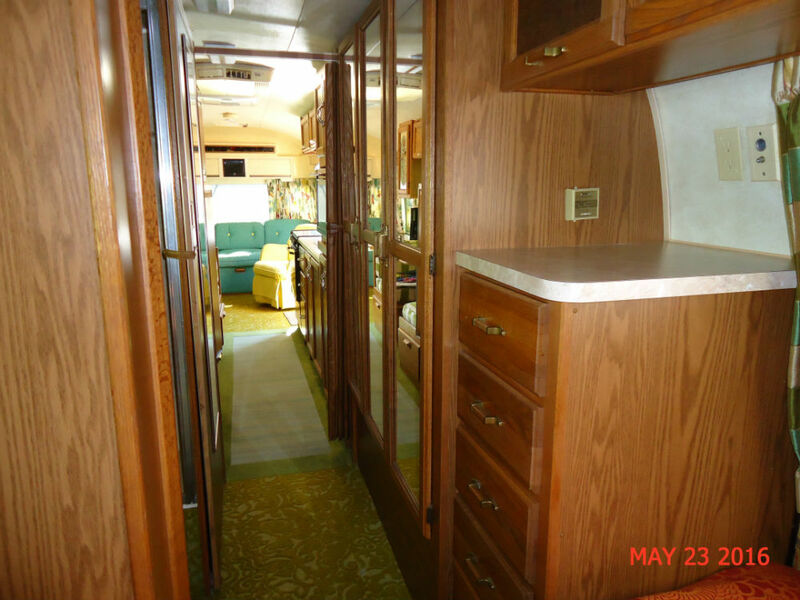 Gutted Airstreams, ready for you to customize!! !